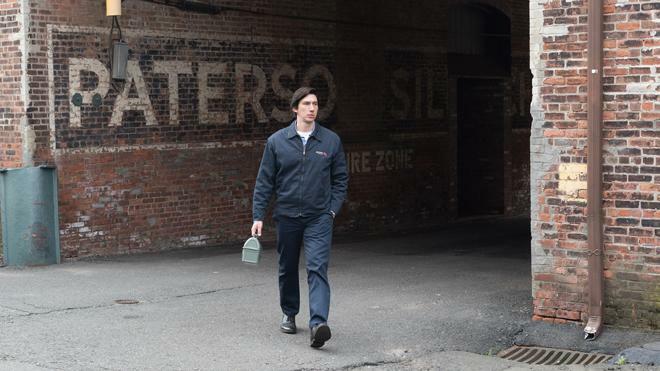 Paterson (Adam Driver) is a bus driver in the city of Paterson, New Jersey - they share the name. Every day, he adheres to a simple routine of driving his daily route, where he observes the city as it drifts across his windshield, overhearing fragments of the conversations that swirl around him. He writes poetry into a notebook, walks his dog, and has exactly one beer at a local bar. By contrast, his loving wife Laura (Golshifteh Farahani), is a dreamer who is constantly inspired by new ideas and ambitious projects, all the while championing Paterson's gift for poetry. The history and energy of the City of Paterson is a felt presence in the film and its simple structure unfolds over the course of a single week. In this "wise, winning… and moving" (Vanity Fair) film from acclaimed director Jim Jarmusch, the quiet triumphs and defeats of daily life are observed, along with the poetry that's evident in its smallest details. A bus breaks down and the driver has to call in to have his passengers picked up. For much of its runtime, that's just about the most dramatic thing that happens during Jim Jarmusch's Paterson. And yet, through the film's seemingly uneventful examination of everyday life, the director ends up tapping into something far more profound than any exaggerated climax or affected contrivance ever could. He reveals the inherent beauty of the ordinary; the understated lyricism of the mundane. Marked by an almost minimalist approach, the movie finds poetry in the smallest of moments, eschewing traditional drama in favor of delicate observation. 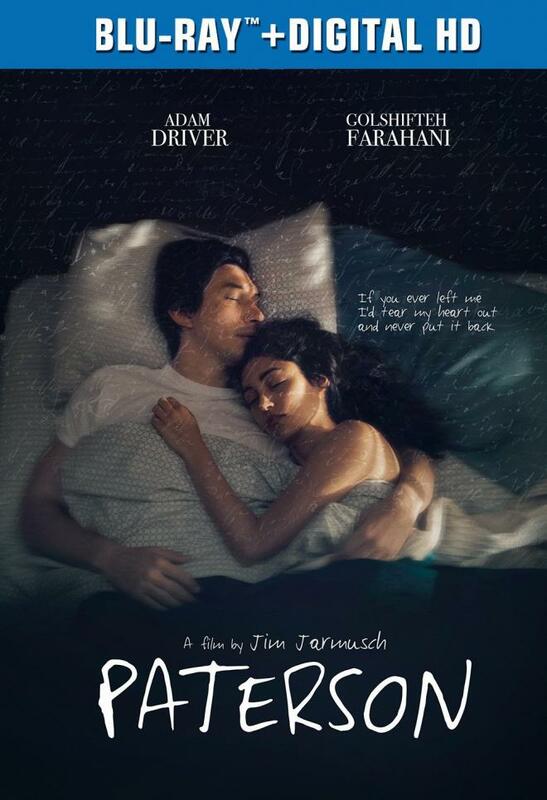 The story focuses on a bus driver, Paterson (Adam Driver), who happens to live in Paterson, New Jersey. Episodic in structure, the movie spans a week in his life, simply following the man as he goes about his typical routine from day to day. This usually includes driving his daily route, eating dinner with his wife, Laura (Golshifteh Farahani), walking her dog, grabbing a drink at a local bar, and sneaking in time to pursue his main passion, poetry. For most of the narrative, Jarmusch simply rinses and repeats these same core events, quietly highlighting the subtle differences and unique instances that make each day stand out while using recurring images, words, actions, and patterns to enhance the film's gently lyrical rhythm -- evoking the deliberate cadence of a poem. Throughout it all, the understated visual and performance style engenders a naturalistic air, creating a low-key mood that frequently hones in on little slice-of-life details -- offering an unassuming yet palpable sense of place, character, and lived-in texture. Indeed, much like Jarmusch's delicately perceptive lens, Paterson himself is an observer, carefully watching and listening and filtering the common joys and pains he witnesses into his art. 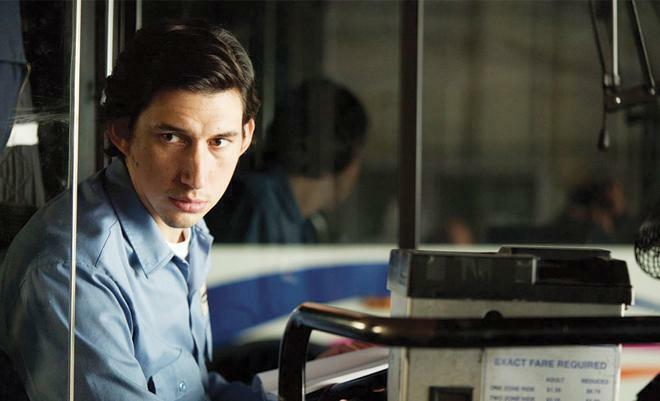 As he eavesdrops on various conversations on the bus or stops to listen to a stranger rap in a laundromat, the director allows us to see the world as Paterson does, softly nudging us toward noticing the extraordinary beauty we might otherwise miss. An air of understated quirk goes on to complement this examination of the commonplace, delicately adding pangs of amusing idiosyncrasy to the cast of characters. Likewise, the director also expands his stylistic scope during key scenes, particularly when Paterson writes his poems. Drawing a notable break from the runtime's otherwise simple aesthetic, these sequences feature voice over of Paterson reciting his pieces as his written words fill the screen, ethereal music cues play on, and artful dissolves transition between shots of waterfalls and other city locations. And while there is an ironic crescendo of sorts during the climax, most elements of drama end up being false starts or facades, playing with our cinematic expectations with a few seemingly traditional setups that ultimately avoid typical conflicts or payoffs. Instead, Jarmusch deliberately tempers the story's only real tragedy, quietly turning loss into rebirth. Finding inspiration within the tiny intricacies and hidden poetry of daily life, Paterson effortlessly reveals the bittersweet pain and joyful possibilities of artistic creation -- of an empty page just waiting to be filled. Universal brings Paterson to Blu-ray on a single BD-50 disc that comes housed inside a keepcase with a cardboard slipcover. Instructions for an iTunes/UltraViolet digital copy are included inside. After some skippable trailers, the disc transitions to a traditional menu screen. The movie is provided with a 1080p/AVC MPEG-4 transfer in the 1.85:1 aspect ratio. Inherently modest yet artistically potent, this a pleasing image free from any major technical issues. Shot on the Arri Alexa, the digital source is clean and clear with no notable signs of noise or other troublesome artifacts. Overall clarity is good, revealing little details in the city's various locations and the decorative patterns and textures that Laura litters throughout her house and wardrobe. With that said, the picture is never quite razor sharp and there can be a subtle haze in certain scenes, helping to evoke the narrative's sense of humble poetry. Colors veer toward a naturalistic palette, though key hues, like the neon lights of bar sign, pop nicely from the screen. Contrast is balanced well with solid blacks, but some indoor scenes can look a tad dim. While Paterson isn't likely to become anyone's new demo disc, the transfer preserves the film's understated style nicely with no major issues to report. The film is presented with an English DTS-HD MA 5.1 track along with English SDH subtitles. Much like the video, this mix is a decidedly low-key affair, but the understated design work enhances the content in delicately effective ways. 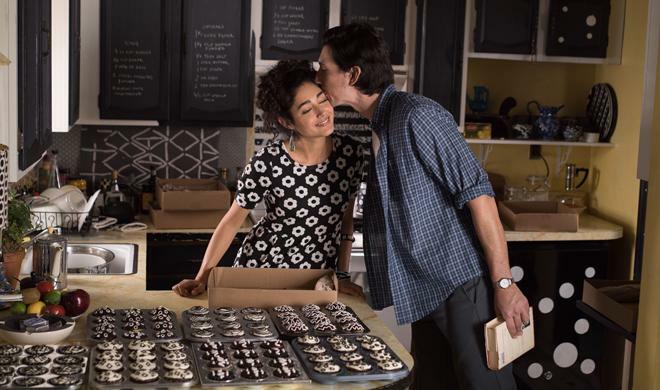 Dialogue and voice over are clean and well prioritized throughout, giving ample presence to every line of Paterson's poetry. Ambience is subtle yet textured, layering appropriate atmospheric effects like chirping birds, background clatter, clanking billiards, and distant sirens throughout the film's city streets and bars with occasional surround activity. Moving sounds like passing cars carry smooth imaging and voices are directional when called for. The score features pleasing fidelity and separation, along with subtle yet wide range. Subdued yet quietly immersive, this is an appropriately sparse but still layered track, bringing a little extra life to the movie's modest surroundings. Sadly, there are absolutely no supplements included. Jim Jarmusch's Paterson is a quietly affecting film about inspiration and everyday beauty. Through a minimalist approach, the director reveals the uncommon poetry found in daily life. On the technical front, this Blu-ray features modest yet delicately effective video and audio, preserving the filmmakers' understated style. Unfortunately, there are no supplements included. Still, the movie itself is the real draw here, and viewers open to its more understated rhythms should not hesitate to seek it out. Recommended.